Phillip Raub is the co-founder & CBO of b8ta, a software-powered retailer designed to make physical retail accessible for product makers and exciting for consumers. In his role at b8ta, he oversees the day to day operations of the company. Previous to b8ta, Phillip held executive roles at Nest, where he lead the Global Channel Marketing team. Prior to Nest, Phillip spent six years at Nintendo during the height of the Wii phenomenon. In his role as Director of Retail Marketing, he was responsible for bringing Nintendo’s brand to life across retail, with partners like Walmart, Target, Best Buy and Amazon. 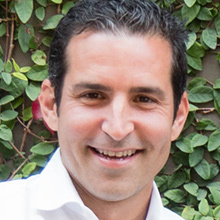 In addition to his years of experience at Nest and Nintendo, Phillip held various leadership roles in Marketing at Gap Inc.